I’ve decided against doing a Rio Gymnastics summary. Instead, I wanted to have a look at the stats of the sprinters who dipped below the 10 seconds barrier for the 100 meters dash and to see who did it the most times. Out of the 833 total instances throughout history, Asafa Powell is responsible for 97 of them, 11.64%!!! No other sprinter is even close! Say what you want about him, Asafa was and still is a great sprinter. Myself, I never liked him, and he always underperformed in the big championships, but he was a WR holder and still is the 4th fastest man evar. And his amazing total of 97 races under 10 seconds is a testament to his consistency and longetivity in the sprint game. Even today, at 33 years of age, he still runs regularly under 10 seconds, and the most recent of those 97 races came in Zurich, just a week ago. Usain is the greatest sprinter to ever live, no doubt, but his relative scarcity of races means that he “only” recorded 49 races under 10 seconds, which is good enough for 4th place on the all-time list. When I showed this list to my dad, he suggested that it would be interesting to look at the percentage of races under 10 seconds out of the total amount of 100m races the athlete participated in. I’m not sure whether it is even possible to find the data for this kind of analysis, but I’m pretty sure that had we done anything like it – Usain would top the list for sure. Third place goes to Maurice Greene, who dipped under the 10 seconds barrier 51 times in his career, a total bettered recently by Justin Gatlin, who did it (legally) 53 times. So Gatlin is in second place, but his total is almost twice less the number of such races Asafa ran. Wow. Mike Rodgers is lying in 5th place. Which is really surprising. At least for me. I mean, Rodgers is a very good sprinter and all that, but really? 5th place? Out of all the great sprinters, Rodgers has the 5th highest number of races under 10 seconds?! I like how in places 8 and 9 we have two blasts from the past in the likes of Ato Boldon and Frankie Fredericks. I consider myself lucky for having the opportunity to see them in action. Fredericks was such a class act. Asafa a super sprinter but not great. I understand you’re from Jamaica. How is Asafa regarded in his home country? Many would say of all time (in Jamaica) he is behind just Bolt in the pecking order. Although I would put both Blake & Don Quarrie above him. Asafa is Jamaica’s most loved sportsman. Especially amongst female supporters. 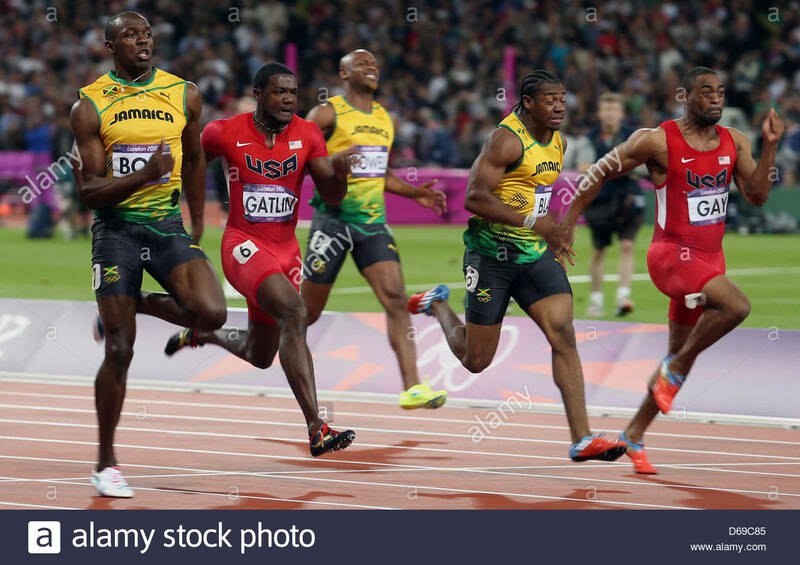 Despite Asafa’s failings at major individual events, he’s respected by his colleagues for the financial support he has given to younger Jamaican athletes over the years.